Since the Rome Statute was surprisingly adopted by an overwhelming majority of the states present at the Rome Conference in 1998 (120 against 7 votes with 21 abstentions) the Court has time and again been described as a civil society creation. There are good reasons for this view as the Coalition for the International Criminal Court (CICC), a world-spanning coalition of 2,500 civil society organisations, was involved in the drafting process of the Rome Statute, in advocacy efforts for the Court and in the negotiations in Rome. The coalition is a unique network of diverse NGOs that come in different shapes and sizes, with different thematic foci, operating on national, regional or global levels. The CICC is convened by the World Federalist Movement and includes heavyweights such as Amnesty International and Human Rights Watch. Its role in the creation of the Court, during negotiations at the Rome and Kampala Conferences, as well as in the Court’s day to day work has been comprehensively analysed in a recent Human Rights Quarterly article by Claude Welch Jr. and Ashley Watkins. The article shows convincingly how the cooperation between the CICC and the group of so-called ‘like-minded states’, who all pushed for a fair, efficient Court with an independent prosecutor, made the passing of the Rome Statute in its current form possible. The CICC also played a role during the Kampala Review Conference and during the election phases at the Court, pushing for the election of qualified candidates. The CICC’s role is just one example of how the ICC cooperates with, and is influenced by, networks on a regular basis. Apart from the NGO roles described above, civil society organisations all over the world are of crucial importance to support the work of the Court. Again, often coordinated by the CICC, NGOs lobby for the arrest of individuals wanted by the ICC. The best case to illustrate this is probably the civil society pressure brought on governments that consider inviting the ICC indicted President of Sudan, Omar al-Bashir. Court action filed by the South African civil society led to a ruling by a South African Magistrate that South Africa would be violating its constitution by not arresting Bashir if he set foot on South African soil. Prior to that point, South Africa had been ambiguous in its statement whether it would respect its obligations towards the ICC and arrest Bashir. The decision by the Magistrate made a key African state fall in line with its legal obligations vis-à-vis the ICC and Bashir has not visited South Africa since. Recently, he skipped the 100 year African National Congress anniversary due to domestic obligations. Along similar lines, civil society lawsuits against Bashir’s visit during the inauguration ceremony of Kenya’s new constitution in August 2010 led to a High Court ruling in November 2011, in which the Kenyan High Court essentially issued a national arrest warrant against Bashir. When Ugandan Minister of State for Foreign Affairs, Henry Okello, declared in December 2011 that Uganda would not arrest Bashir if he visited Uganda, Ugandan civil society organisations followed the Kenyan example. The Ugandan Coalition for the International Criminal Court (UCICC) soon announced that it would have a national arrest warrant issued by the Ugandan High Court, ready if Bashir decided to visit. Without the support of African civil society, putting strong pressure on their states to respect their commitment towards the ICC, the ICC’s impact in isolating those it has indicted would be far less pronounced. But the ICC is cooperating with networks in other important areas too. In an effort to help the enforcement of its warrants, the Office of the Prosecutor (OTP) has set up a Law Enforcement Network (LEN). 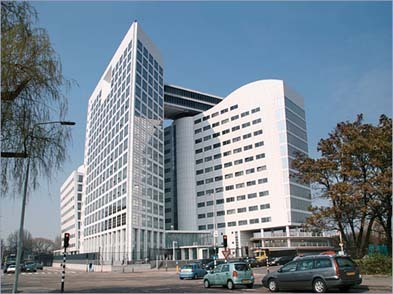 Until December 2009, the Court had worked with 32 individuals from 14 countries and organisations such as Interpol. Two visible successes of the LEN were the arrests of Callixte Mbarushimana in France as well as the trial of Ignace Murwanashyaka in Germany. The strengthening of local judiciaries, also known as positive complementarity, has been one of the key concepts of the OTP’s overall strategy during Moreno Ocampo’s era, even though the strategy was arguably not followed consistently. To further positive complementarity the ICC is working with national prosecution agencies, such as the Ugandan DPP in the case of Thomas Kwoyelo, as well as the German Federal Prosecutor’s Office in the case of Germany’s national trial against Ignace Murwanashyaka. The ICC is also sharing best practice with judges of the newly established International Crimes Division of the Ugandan High Court. This said, it is clear that networking with both NGOs as well as state and international institutions is a crucial part of the ICC’s everyday work. 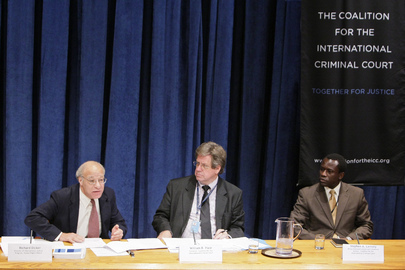 How well this cooperation works in practice plays a big role for the ICC’s effectiveness in fulfilling its mandate. 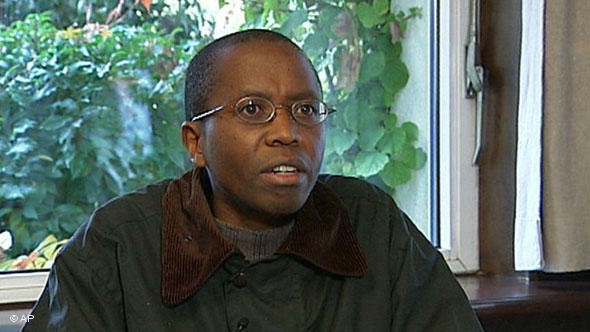 Ignace Murwanashyaka was arrested in his country of asylum, Germany. The Office of the Prosecutor and the Office of the German Federal Prosecutor have cooperated in the investigations. Unfortunately, the cooperation between the ICC and its partners does not always run as smoothly as it should. Some civil society organisations in Uganda, for example, are complaining about a lack of understanding for the local contexts at the ICC. In my personal opinion, it seems like the OTP has not taken the feedback received from Ugandan civil society organisations seriously enough. The cooperation is further marred by reports of Moreno-Ocampo publicly branding Ugandan critics as LRA sympathisers. In terms of positive complementarity, the ICC could also do a lot more to strengthen national institutions, but further efforts in this area are being blocked by the ASP. Member States to the ICC are just not willing to come forward with the necessary funds to let the ICC engage in capacity building and the Rome Statute is clear on the fact that active capacity building is outside of the ICC’s mandate. Chances for a change are slim, taking into consideration that the last budget of the ICC was only narrowly saved from complete stagnation. PhD student at the University of Tübingen and the Max-Planck-Institute for Comparative Public Law and International Law. Working on the impact of International Criminal Court investigations on ongoing intrastate conflicts. This entry was posted in International Criminal Court (ICC). Bookmark the permalink.